If you are looking for a photographer for your wedding or family portrait then visit our photographers' directory to find a member near you. Our members photograph thousands of weddings and can provide beautiful lasting memories of your 'special day'. 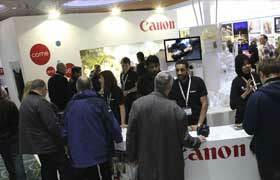 The SWPP is one of the worlds largest organisations for pro and aspiring photographers. Members receive a range of benefits to help them in their careers and businesses. 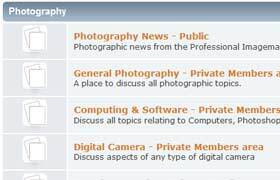 Members have access to our photographic Forum, comprehensive listing on our web site, online photographic gallery, Professional Imagemaker magazine and a great deal more photo services. 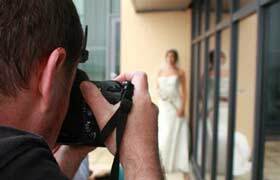 Our organisation represents wedding and portrait photographers. Benefits of membership include business listing, bi-monthly magazine, mentoring programme, seminars, competitions and much, much more. When there is such a choice of representative organisations out there you may ask yourself, why the SWPP? To us the answer is very simple. If you are a newcomer to the industry or considering a career change then we offer the most comprehensive range of educational seminars by inspirational speakers. The profile of our membership contains many individuals who have enjoyed active careers in many of the traditional 'professions' and to whom 'professionalism' is second nature. We are dedicated to providing quality training and mentoring to all that ask and want to progress in professional photography without prejudice or discrimination. If you are already in practice and want to gain that all important edge over your competitors, then we can help you too. Advancing your photographic skills and knowledge is a must in today's competitive world. 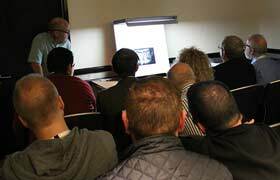 We run various seminars on photography, covering topics such as lighting, building your business, wedding photography, post productions and much more. 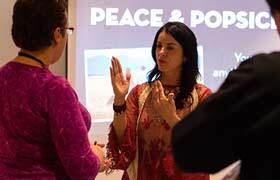 See our latest courses here. Feedback on your work can be insightful and help move your photography on to the next level. Our mentoring team will give you advice that you can implement in to your wedding or portrait photography that will ultimately help you improve your craft. Compete with fellow photographers and benefit from seeing your work standing shoulder to shoulder with some of the world's greatest images. We run competitions in many genres from wedding photojournalistic, portrait avant garde right through to fashion photography.See the latest awards here. 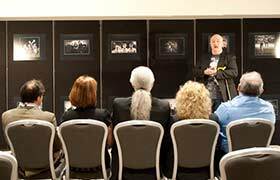 The Societies' 2018 Convention is set to become the most memorable gathering of worldwide professional photography with a stunning array of speakers from all over the world and over 200 of the most influential companies. Planning your wedding day? It can be a stressful time, so we have comprised lists of wedding photographers, venues, bridal dresses, florists and wedding cars to help you find suppliers in one place. 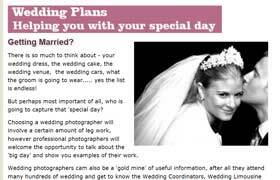 We have also created a wedding plans section of the website, with some useful hints and tips to consider when organising your wedding. 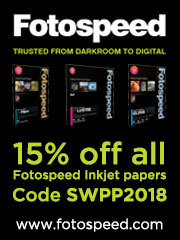 If you want to talk photography with fellow photographers, then there is no better place than The Societies of Photographers' Photography Forum. Chat, socialise and keep up to speed with the latest business and photographic trends in the privacy of a members' only forum. Each month the Judges Choice Award receives prizes up to the value of £500 and the annual Photographer of the Year can win up to £2,500 worth of prizes. Check out the Photographer of the Year 2017 Winners. The post Sony Celebrates Fantastic Five at 2019 TIPA awards appeared first on The Societies of Photographers | International Photography Organisation. Need more inspiration? Check out our Wedding Photo Ideas. Looking to take a new direction? Check out our Newborn Photo Ideas.